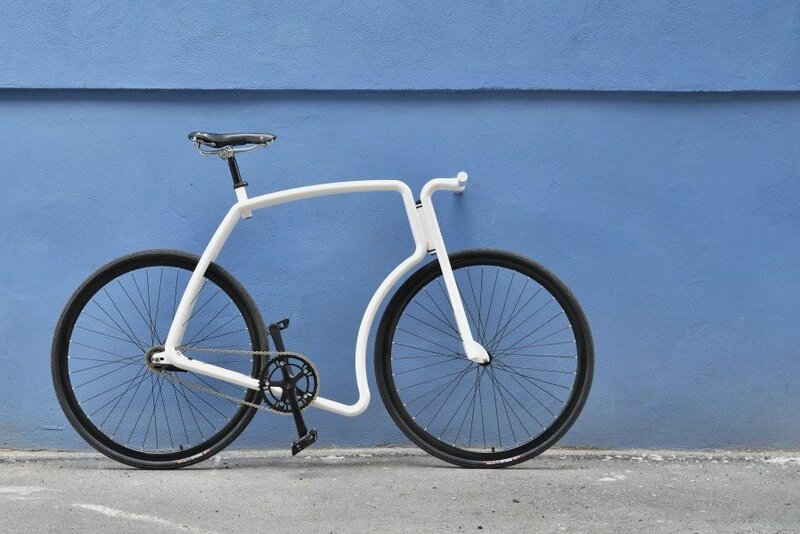 The Estonian bicycle brand Velonia has introduced the Viks, an urban commuter bike with a striking design and uniquely shaped frame. 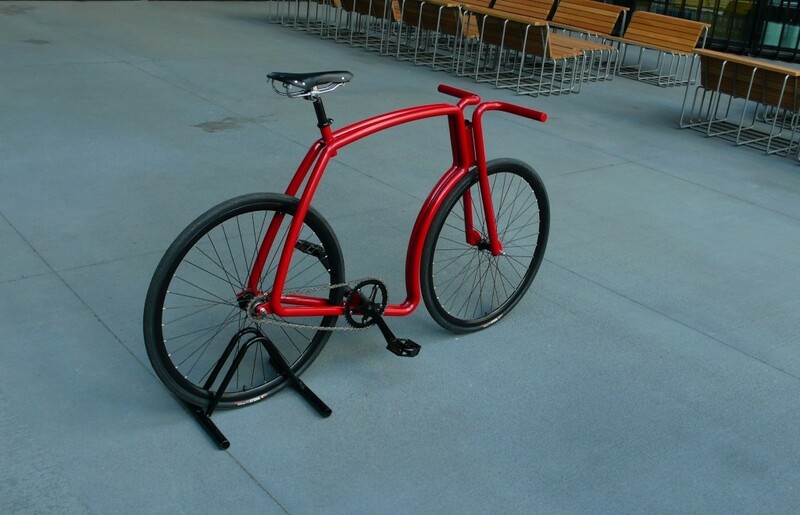 Thanks to its unique construction with two identical steel tubes that are joined together in the front of the bike, there is no need for a seat tube and it weighs only 15 pounds. 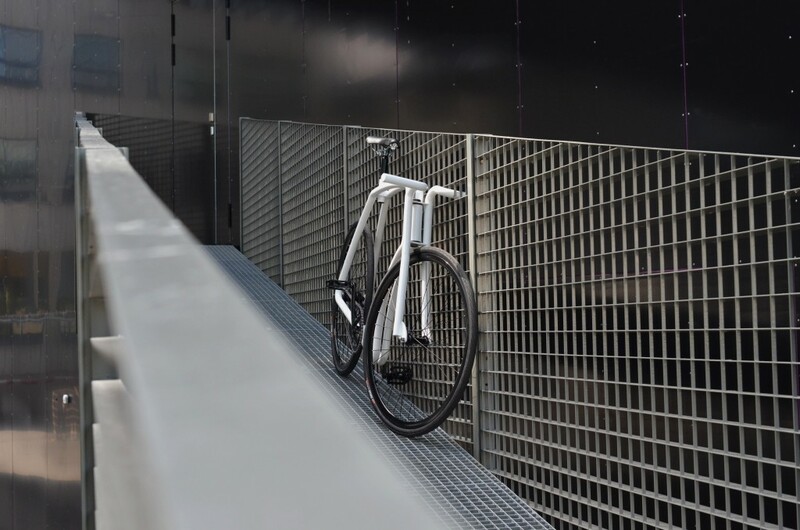 Until recently, the Viks was still in prototype phase, but the first bicycles can now be ordered through their website. Indrek Narusk, the creator behind Viks, answered our questions. How did the idea of starting your business come about? It was quite simple actually. I wanted to get a commuter bike for this summer and didn’t really fancy anything available in shops. I wanted something different, something unique. As I’ve been dealing with bikes before and I am actually a mechanical engineer by education, then I thought why not build one. I looked for inspiration online, did couple of sketches and then had a pretty good idea of what I wanted. Drew everything up in 3D CAD software and then it was ready to be built. I did the design in winter and started to actually build the first thing in March. Initially the idea was just to build one for myself. But once the images started spreading there were lot of people who were interested. Then I thought maybe I should start building and selling them. And here I am now. Quite straightforward. I sell/ship directly from Estonia to all over the world. I myself am involved in building the frame/bike so there is a small fee for me in there somewhere. What would you say was the hardest part of starting the business? I’ve started businesses before, so it’s not that hard anymore, but usually it’s the “coming out of your comfort zone” – dropping everything else and taking a risk. Depending on the business, money is always an issue as well. How are your bicycles priced? 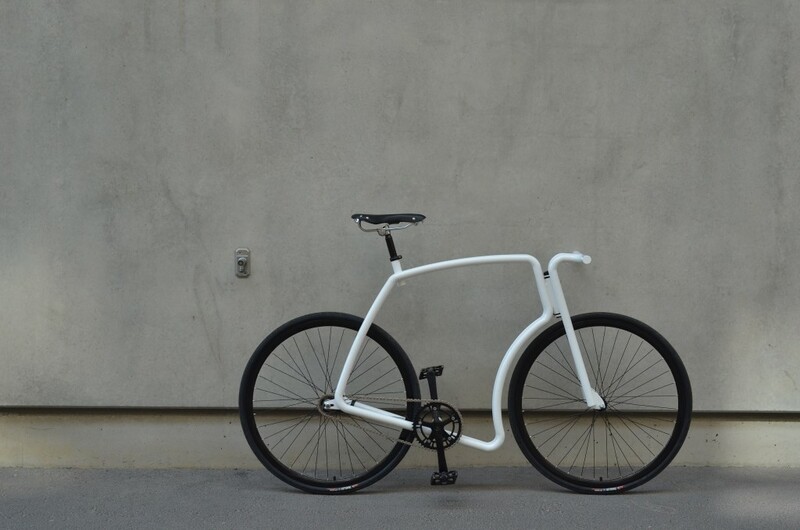 Currently there is a basic price line for the frame and for the entire bike. There are also a lot of custom options available and then the price is calculated per order. I might introduce two pricing models in the future (basic model and premium) but it’s not clear yet if and when. Where are you based and why? Tallinn, Estonia, because I live here. There are probably better places in the world where to build bikes (countries that have experience in this field), but I’m here now and it’s about time Estonia had its own bicycle manufacturer. How were you able to fund the business? Well I’m doing everything out of my own pocket. I’m happy to have customers who are willing to place orders with down payments, so this helps a lot. I might look for funding in the upcoming autumn/winter but it’s all dependent on the market interest and how it changes. Could you briefly describe the founding team and their background? It was just me. I’ve now taken a friend on board, Kristo Riimaa, who is a bicycle enthusiast like myself and who is helping me with marketing and sales. I have a mechanical engineering background and I’ve also done start-ups before (I was one of the founders of GrabCAD). How has your market changed since you started? How has your business changed to keep pace? I’ve been on the market with Viks only for couple of months, so it’s hard to speak about any changes in the market. But generally, the bicycle industry is doing relatively well in the slow economy. More and more people want to ride bikes and this opens up more opportunities. What was the minimum viable product (MVP) you built and if/how it has changed? The first bike. Once it got made and first images were online, I got the first orders. Just like that, based on couple of photos. 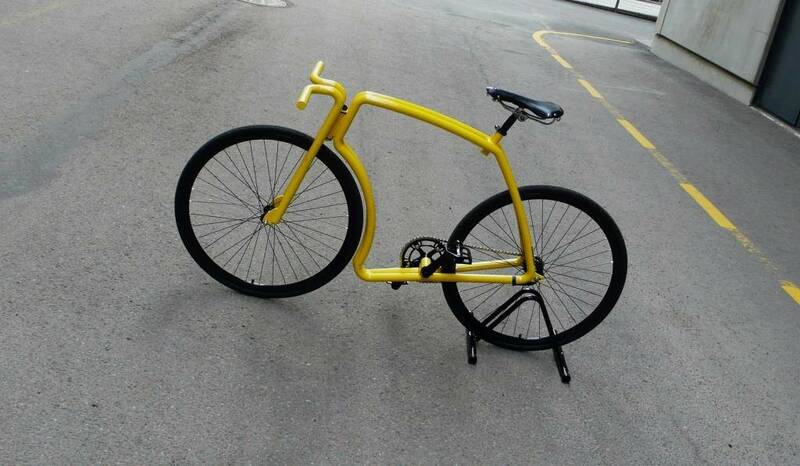 I’ve made a few technical changes since the very first prototype that have made Viks a lot better bike to ride. There are some changes more to come, but the current version is pretty good to ride. There is not much improvement left. Do you have governmental subsidy to operate your business? Not at the moment. We are thinking about EAS (Enterprise Estonia – Editor), but too early to tell. What is an average workday like for you? Usually I get up between 8-9 o’clock. Check if any urgent emails, then off to the gym. When back, breakfast and more emails. Then out on the town to buy parts and materials for bikes, with a quick lunch somewhere. Then back home and out for a bike ride. After that to see my welder and the painter and help them out as much as possible. Usually back home at 9-10pm… Some more emails and some more coffee… If I need to do any R&D work then it usually happens during night time. Weekends aren’t much different. What could you say has been some of the key things you’ve learnt so far as an entrepreneur? Don’t postpone anything, do everything now. Love what you do and believe in it, even if the future is blurry. Don’t regret anything and remember that there is always time for a bike ride. What pieces of advice could you give to aspiring entrepreneurs out there looking to start their business? Start a business at least once in your life. It doesn’t matter if you succeed or not, the experience is the most valuable thing. You’ll be a much wiser man/woman. Don’t be afraid, just do it! I want to see Viks bikes in every part of the world. I want people to know about it and want it. 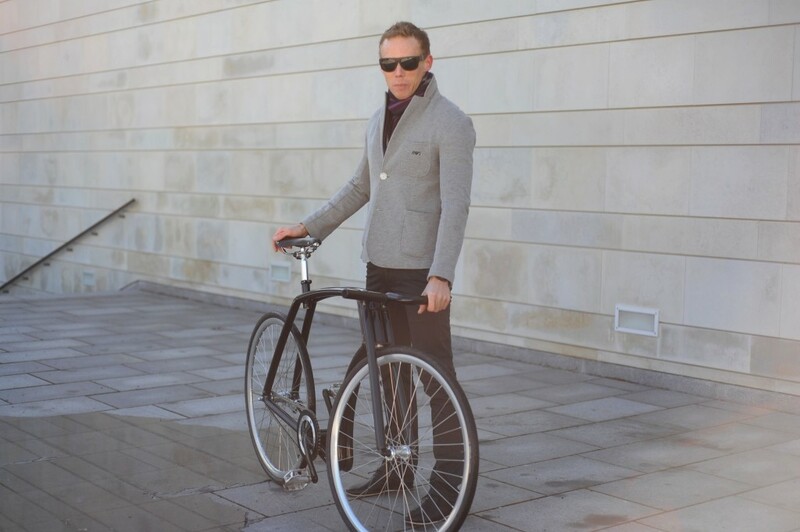 I want a lot of happy people riding bikes – Viks bikes.